The Mark Larson Combo swing band will be keeping you out on the dance floor all night long. Take part in a swing lesson, then tear up the dance floor while the band plays. "GottaSwing Charlotte is proud to welcome back the Mark Larson Combo. This swing band played for our band dance back in March and we are happy to have them back! 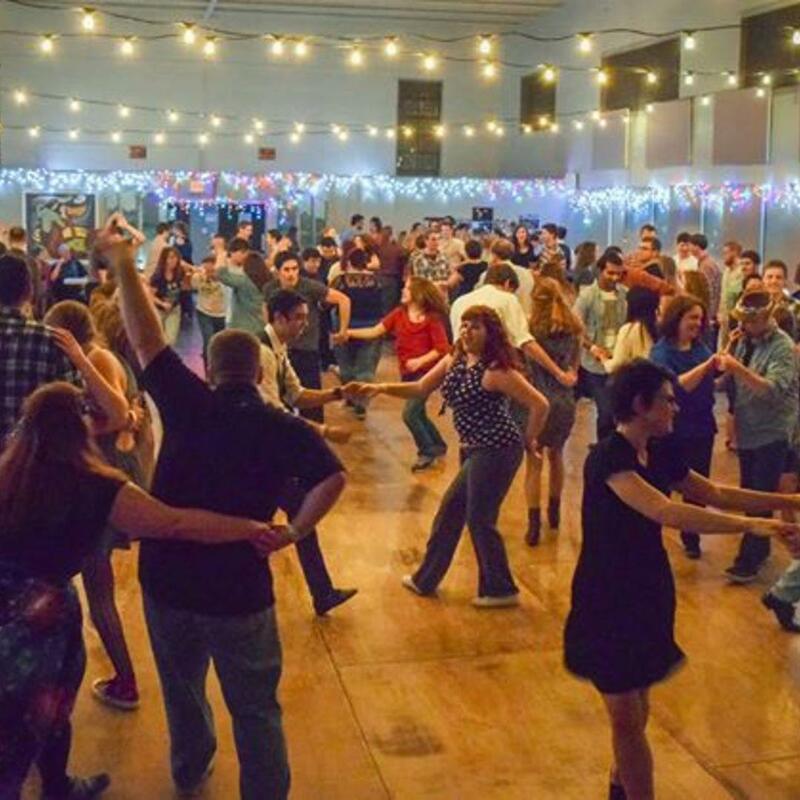 Doors open at 7pm, and there will be a free Introduction to Swing Dancing lesson from 7:30 to 8:30. Then the band takes the stage at 8:30 for social dancing. Admission is just $8. No dance experience or dedicated dance partner needed. The Mark Larson Combo brings a new acoustic vibe to classic swing jazz. Singer Mark Larson plays guitar, accordion, and piano. Tom Hanchett saws the fiddle. Parker Foley is our stand-up (bass) guy with Paul Walker hitting, shaking, and stomping on all sorts of things percussion."